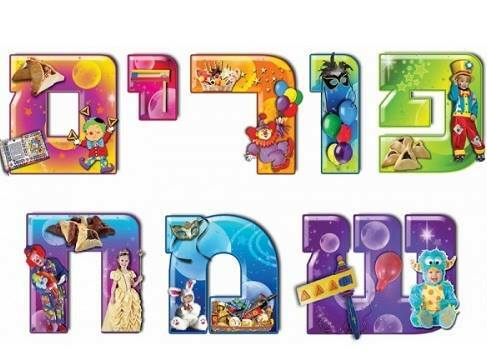 Wishing all Point of No Return readers a very Happy Purim. Click here to play a Purim tune popular with the Jews of Egypt. Instead, it was Ahmed himself who lost his life on this day, an event commemorated each year with a “little Purim,” a local holiday celebrating deliverance from destruction, much as the standard Purim recalls how the Jews of Persia were saved from the designs of the evil vizier Haman. Egypt had come under Ottoman control seven years before, in 1517, the same year that Jerusalem was captured by Suleiman. Three years later, on the death of his father, Selim I, Suleiman became the Ottoman sultan. To represent him in Cairo, Suleiman appointed Ahmed Pasha as viceroy, or governor. Ahmed had hoped for more. As an official in the court of Selim, he had stepped in to take command of Ottoman forces during the siege of Rhodes, in September 1522. It was thanks to his military prowess that the Ottomans conquered the island stronghold from the Knights of St. John. Ahmed expected Suleiman to make him grand vizier, his chief of staff, in the imperial capital of Constantinople, but the sultan appointed a boyhood friend of his to that position. The rebuff was apparently sufficient to drive a resentful Ahmed Pasha to plot a rebellion. As one ancient Muslim chronicler described it, Ahmed “allowed himself to be led astray by the devil, and plotted for the sultanate.” He imprisoned or executed military figures he considered loyal to the sultan, and he began confiscating the wealth of provincial officials and peasants alike for his own use. At a more symbolic level, he instructed his name to be used in place of the sultan's in the Friday sermon at local mosques and on locally minted coins. It's here that the traditional Jewish version of the tale begins to resemble the original tale of Haman, Esther and Mordecai. The head of the mint was Abraham de Castro, a Jew, who prudently requested of Ahmed that he put his request in writing. He then took the written order to Constantinople, where he showed it to Sultan Suleiman. When he became aware that he had been denounced, Ahmed Pasha resolved to take vengeance on de Castro and the Jewish community in general. As the story goes, Ahmed called 12 prominent Cairo Jews to his palace, and ordered them to collect 200 silver talents, a sum of money described as astronomical. He gave them a deadline and said that if they didn't meet it, he would have all the Jews of Cairo killed. The Jews’ initial response was to declare a day of prayer and fasting, and to begin gathering money. When they had amassed what they could, about one-tenth of the demanded ransom, they brought that to the palace, hoping the vizier would accept it as a down payment. The Jewish notables were received by the vizier’s secretary. He examined the ransom, determined that it was insufficient, and said that Ahmed Pasha would have no choice but to order the punishment to be carried out – as soon as he emerged from his bath. Just at that moment, Ahmed was attacked by a group led by one of his officials, Mohamed Bey. Though he survived that assault, he was soon captured – and beheaded. That momentous rescue occurred on Adar 28, which corresponded to March 4, 1524, and it is that date that became an annual day of celebration for the Jews of the city, the Purim al-Mizriyin, or Cairo Purim. More conventional historical chronicles tell a similar tale, but without the emphasis on the Jews. Several chroniclers reported that he was in the midst of having his head shaved when his bathhouse was attacked by a rival officer, Janim al-Hamzawi. "The attack prevented him from having the other half shaved," one chronicler recounted (as quoted in "The Arab Lands under Ottoman Rule," by Jane Hathaway), and he fled by way of the bathhouse roof. Janim al-Hamzawi gave chase, and eventually, with a force of 1,000 Janissaries, captured the renegade vizier. Ahmed was beheaded, and, according to one account, his head was pickled.